First after 9 years, no representative from the New EU Member States has seat in the Executive Committee. HUNAGI is active in the Working and Advisory Groups, which are the main drivers of the Organisation. HUNAGI representatives serves as advisor for the Secretary General of EUROGI in international affairs with special emphasis on Central and Eastern Europe. HUNAGI representatives expressed his deep concerns related to the voting weights applied and urged revisit the system as soon as possible. HUNAGI called the attention on the role of the organised GI communities ie. the national GI associations and EUROGI as potential partners of the European Economic and Social Committee in reaching the Lisbon Goals. The preliminary links have been established at the EESC Conference held in the Budapest Parliament some weeks ago. HUNAGI made recommendation to improve the communication of EUROGI and its member organisations introducing a uniform interactive webblog optimized for increase theInternet search engine hits and providing better visibility for the keyword "Geospatial". The system introduced by HUNAGI late January verified the efficiency. The details were shared with the AGM participants. 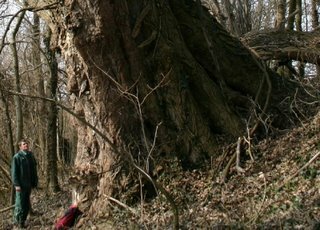 The European Inventory on the Large Trees using methodology elaborated in Hungary was also formally introduced. President of EUROGI asked HUNAGI to prepare the follow up directly with the Secretary General Joao Geirinhas. The up-to-date 2-side leaflet on HUNAGI activities and its members were distributed for the participants. 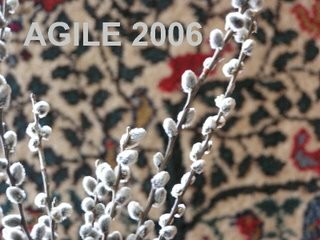 "Alpbachi Nyári Iskola 2006 - Az Osztrák Űrügynökség 2006. július 25. - augusztus 3. között rendezi szokásos nemzetközi nyári iskoláját Alpbachban. A tábor idei témája a természeti veszélyforrások világűrből történő megfigyelése. Az űrügynökség honlapján már szerepel a részletes felhívás (www.ffg.at/index ). A jelentkezési határidő: 2006. március 31. (Hivatalos formában jelentkezni az oszrák honlapról letölthető Announcement of Alpbach 2006 dokumentumban található jelentkezési lap kitöltésével lehet.) A nyári iskolának első alkalommal lesznek magyar előadói. Amennyiben szükséges, a MŰI (http://www.hso.hu/ )valószínűleg részben vagy egészben tudja támogatni kiutazó fiatalok regisztrációs díját, mely idén 330 euró." Mint az 1989.évi Alpbachi Nyári Iskola hallgatója csak ajánlani tudom minden a földmegfigyelés alkalmazásai témakör iránt érdeklődőknek, főleg a HUNAGI posztgraduális hallgatóinak a részvétel módja iránti alaposabb tájékozódást, mert akár egy fél életre szóló municióhoz lehet jutni. Hungarian presentation at the Working Party "Geographical Information Systems for Statistics" in Luxembourg on 16 and 17 March 2006. "A comprehensive presentation on the organisation of the Hungarian National Mapping Agency, as well as of the applicable regulations and of the available data and services was given. Hungarian NMA depends from the Ministry of Agriculture and Rural Development, being part of the Main Department of Land Affairs and Geoinformatics. A number of alphanumeric, raster and vector databases are maintained, as well as services for supporting National and European legislative provisions, public and private sector user needs. 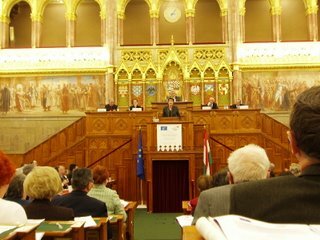 The INSPIRE initiative is closely followed, both at the level of legislative process and working programme for the preparatory phase; many presentations were given in national and international conferences presenting INSPIRE and the position and contribution of Hungary. Some examples of cooperation with the Hungarian National Statistical Institute were finally presented." 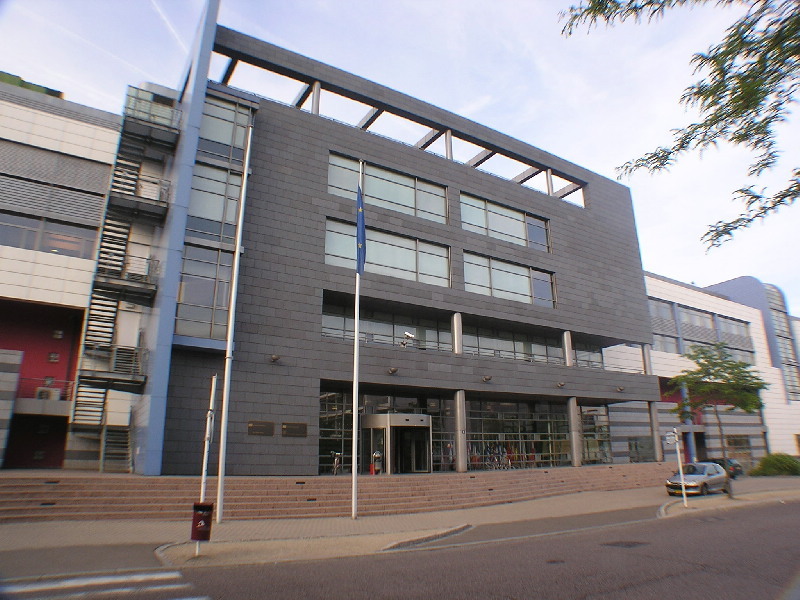 Both FÖMI and the Hungarian Central Statistical Office are member institute of HUNAGI. 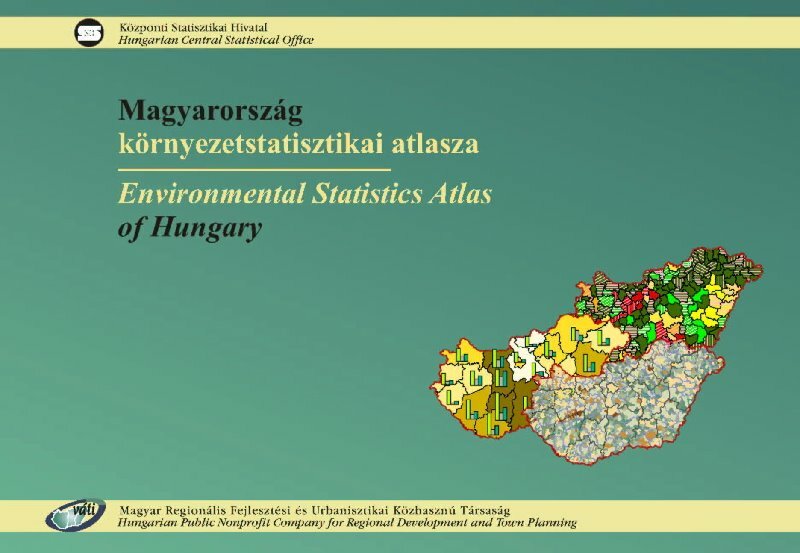 Another HUNAGI blogspot timestamped March 24 announced the publication of the Environmental Statistics Atlas of HCSO, a joint work with VÁTI, the Town Development and Planning Institute, also a member of HUNAGI. 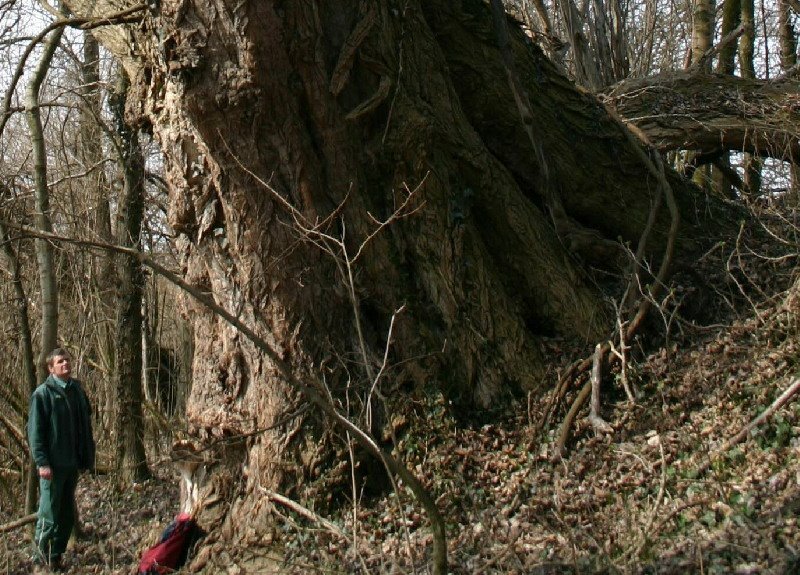 Concept: Participatory-based photo-documented inventory of the oldest living species in Europe georeferenced by GNSS orchestrated by EUROGI member organisations using methodology published in Hungary. 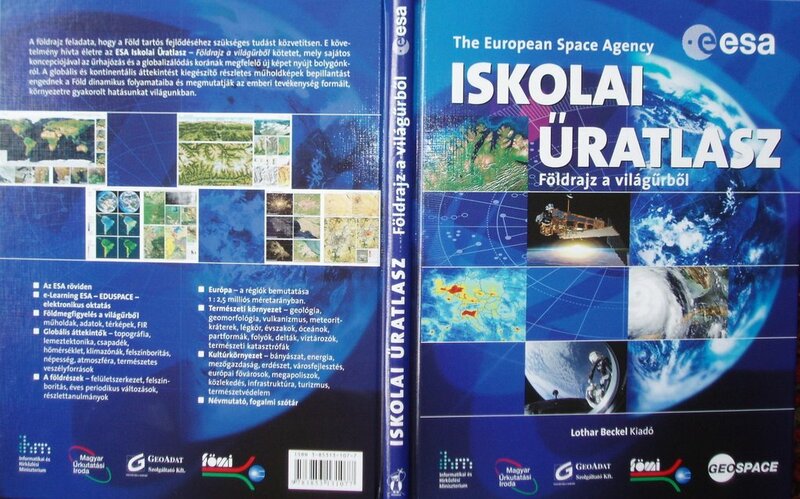 The Hungarian Version of the 1st Edition of the ESA Space Atlas for Schools published. The Hungarian Version of the book published by the Lothar Beckel Geospace is a joint work of three HUNAGI members, namely the Hungarian Space Research Office, the Institute of Geodesy, Cartography and Remote Sensing as well as the GeoData Services Ltd of the Geometria Group. The project was supported by the Ministry of Informatics and Communication. HUNAGI received a copy recently for review and comments, which will be embedded into this blogspot soon. 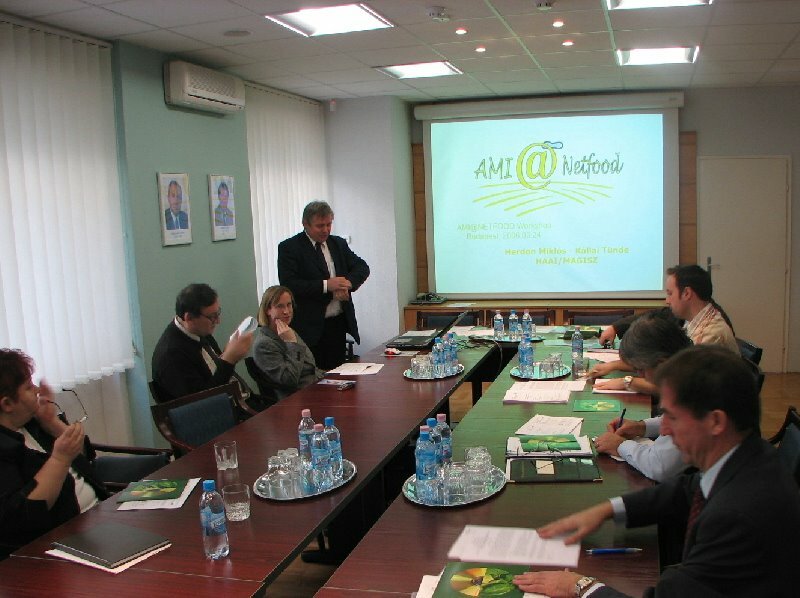 Workshop on the Strategic Research Agenda organised by the Hungarian partner HAAI of the international project AMI@Netfood (Development of Long-term Shared Vision on AMI Technologies for a Networked Agri-food Sector) accepted the role and importance of Spatial Data availability, access and related services on 24th March 2006. 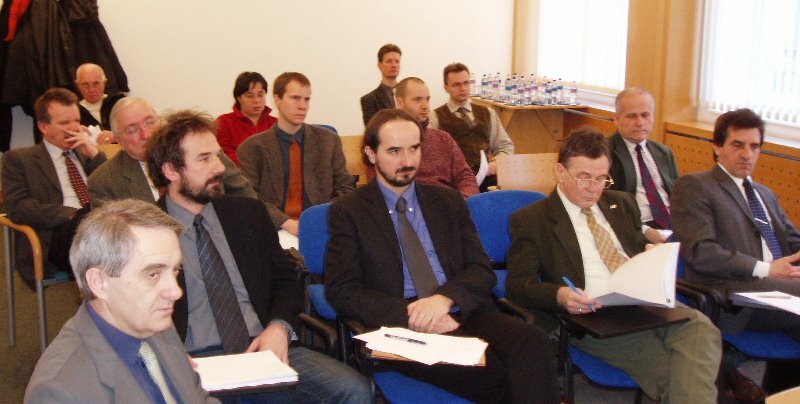 The meeting was organised by the Hungarian Association of Agro-informatics (HAAI), hosted by the Research Institute for Agroeconomics (AKI), both members of HUNAGI and attended by experts and representatives of acknowledged labs, institutions such as Institute for Agricultural Logistics, the Institute of Technology of MoARD (FVMMI), the Institute of Geodesy, Cartography and Remote Sensing (FÖMI) and NGOs including HUNAGI. 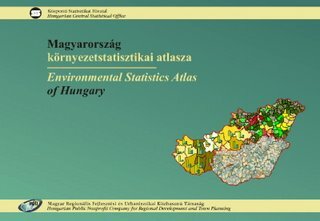 In this publication the HCSO – with the effective assistance of VÁTI (also member of HUNAGI) – publishes for the first time comprehensive thematic maps collecting the available statistical data on the state of environment. The publication is based on the traditional and generally accepted international model 'driving forces - pressures - state - impact - responses'. The main topics are the following: social-economical facts; natural resources; discharges; state and endangerment of environment; nature protection; environmental infrastructure, investments, expenditures, subsidies. The data and information are generally presented on NUTS5 and NUTS4 levels, but in some cases the use of NUTS3 level was inevitable. Some methodological remarks can also be found in order to help the orientation among the maps and some graphics presenting long time-series. The publication is useful for the experts involved in regional and environmental planning and research, for the teachers and students and others interested in widening their knowledge and for the experts in the public administration. 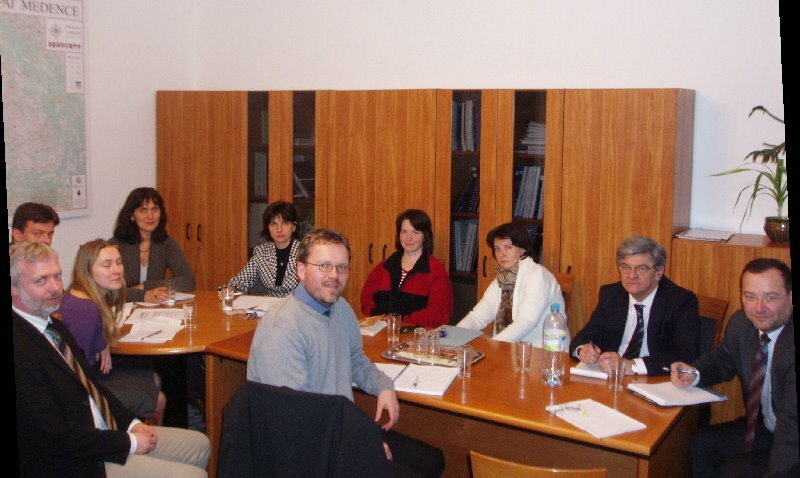 HUNAGI members Hydea Ltd and Geodézia Shareholding Company are subcontractor of AGROCONSULTING SpA, the prime contractor of the EUROSTAT tender to implement the 2006 LUCAS Campaigne, the area frame sampling based European Land Use Inventory's field works for Hungary. Over 10 thousands imageries of the sampling sites were provided by FÖMI, also member of the Hungarian Association for Geo-Information. Ensuring Spatial Data Availability for the INSPIRE Annex I & II Data by 2007 as task was initiated by HUNAGI and unanimously accepted by the STEA Subcommittee as action in the road map of the Information Society Strategy (MITS) implementation yesterday. The meeting of the Strategic Analysis Subcommittee (STEA) of the Intermninisterial Coordination Committee for Information Society (ITKTB) was hosted by MoIC on 21st March. Mention should be made, STEA gave the mandate for the Task Force on Spatial Data Infrastructure Strategy (NTIS-team) to elaborate a document in line with the strategic planning methodology of STEA. will be finished till late April and will be submitted to STEA for approval. 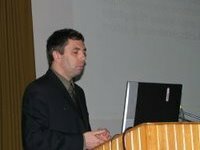 It is a pleasure and honour for me to deliver a welcome address to the participants of the 2006 Conference of the Association of Geographic Information Laboratories in Europe. My message is to underline the beneficial role that horizontal networking plays towards geographic information on a national level. It strengthens the cohesion between the institutions and organisations working in different disciplina, especially in the fields of Reseach and Technology Development as well as Education and Training. 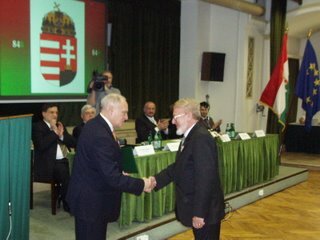 to foster the institutional links and cooperation between the multidisciplinary GI communities in Hungary and in abroad. HUNAGI is a coalition of R+TD institutions, data and service providers, facilitators, as well as added-value and solution providers. It also comprises the end user community, usually a network of academic institutions, industry, governmental and non-governmental organisations. It speaks out on behalf of local communities and citizens. The geographical location of its members are well distributed throughout Hungary. Communication is a strong aspect of HunAGI and members benefit from steady knowledge transfer and dissemination of user-tailored information. The main communication tool is the Internet, using web-based Newsletters, interactive newsblog and frequently maintained website, which strengthens status and competition. HUNAGI is non-profit and is significantly dependent upon the dedication of volunteers. The umbrella nature guarantees a wide variety of GI sectors due to horizontal networking. Many of the incorporated professional organisations, education and research institutions and public agencies offer a long tradition of experience, good reputation and rich knowledge. Among the Founding Members, the Hungarian Society for Surveying, Mapping and Remote Sensing celebrates its 50th Anniversary this year. Another one has even longer tradition: the Hungarian Geographical Society was founded in the 19th Century. Additional advantages include HunAGI’s political independence whilst havingclose links to governmental agencies, and HUNAGI’s flexibility in domestic and international cooperation. These values empower HUNAGI to act as an efficient mediator, lobbyist, coordinator, advisor and consultancy partner especially in policy planning, implementation, monitoring and evaluation. During the past several months, HUNAGI was invited to discuss initiatives and actions related to GEOSS, to review documents related to the National Development Plan and recently, to formulate an opinion on the Lisbon Strategy implementation at the international conference organised by the European and Hungarian Economic and Social Committees. HUNAGI was invited to the DG JRC Conference – National Technology Development Office hosted by the Hungarian Academy of Sciences. 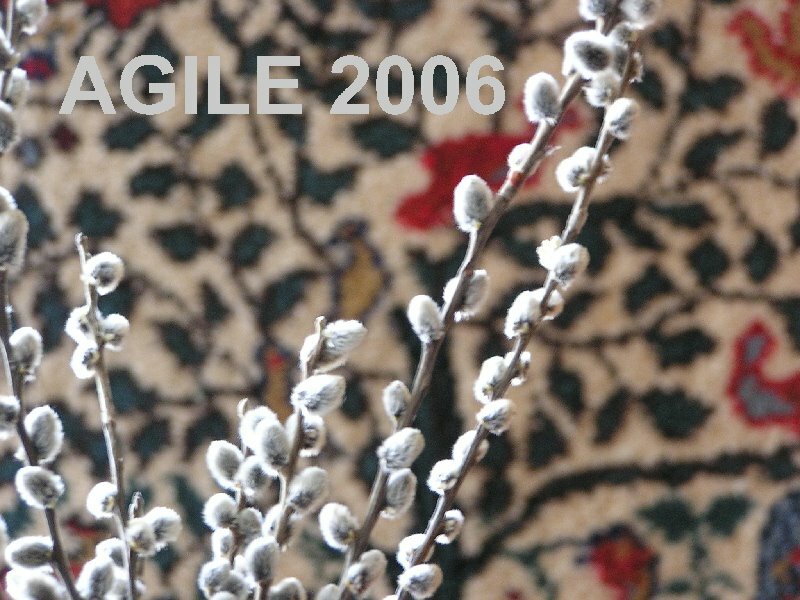 All these actions and events are reflected on the website www.hunagi.hu and the newsblog http://hunagi.blogspot.com . HunAGI was recently mandated by the Strategic Planning Subcommitte of the Interministerial Coordination Committee on Information Society, to facilitate the formulation of Hungary’s Strategy for a National Spatial Data Infrastructure and its implementation, according to the INSPIRE Directive (which by the way is expected to be in force in 2007). 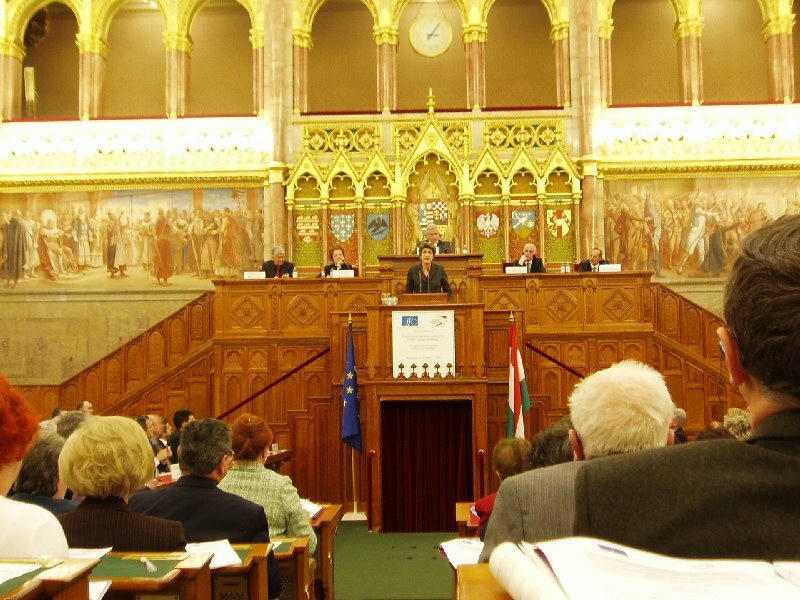 The Draft Strategy document was released for public debate on the Internet, after being announced at the GIS Open 2006 Conference held in Székesfehérvár on March 16-17. HUNAGI is a registered Spatial Data Interest Community for the DG JRC with the strength to articulate the user’s views and to provide case studies directly or via the Webcastle service of EUROGI..
HUNAGI is proactively working on European level in topics such as R+D (EU Framework Programmes), European Spatial Data Infrastructure (INSPIRE), Public Sector Information (eContentPlus), GMES and GALILEO. There is a close collaboration with EUROGI, advising their Secretary General and offering HunAGI experts to their Working and Advisory Groups related to Data, Applications, and Users. 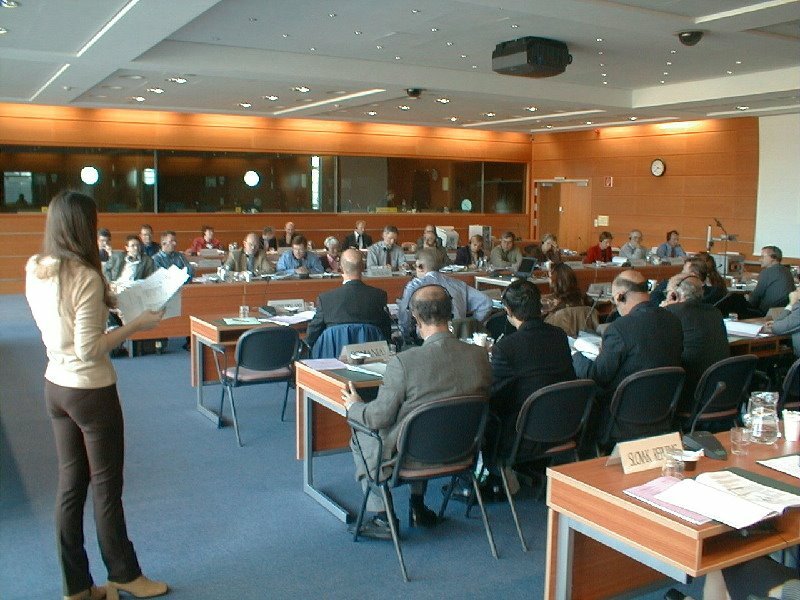 HUNAGI had a seat in the EUROGI Executive Committee between 1998-2005. HunAGI also has strong links with other Pan European associations including the Permanent Committee on Cadastre, GISIG, and some European Institutions including DG JRC, DG InfSo, DG Envi, Eurostat and DG Research. Moreover, HUNAGI members are directly linked to renowned organisations and institutions including EuroGeoSurveys, EuroGeographics, AGILE, EARSeL, EuroSDR, EFITA, EEA and the European Space Agency. 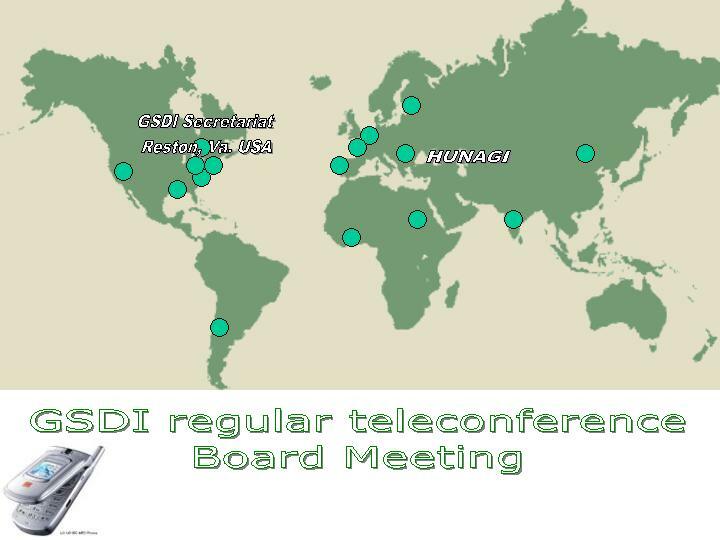 On a global level, HUNAGI is a member of the Global Spatial Data Infrastructure Association, with a seat on their Board and actively participating at all of their conferences since 1996. Other fora where HUNAGI and its member representatives are active includes ISDE and ISPRS. 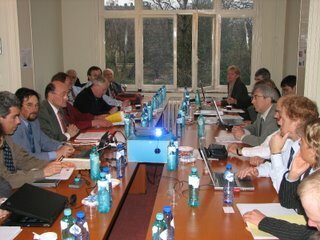 HUNAGI core member representatives received leading positions in the international organisations FIG and ICA. Beyond the AGILE 2006 Conference, HUNAGI members are preparing internationally acknowledged events on Earth Observation (CEOS WGISS/WGCV), e-Governance and Knowledge Management (FIG) this Spring. All these activities are carried out in line with the mission goals of HUNAGI. They improve the efficiency of exchange of views and ensure more visibility on the state –of-art of the use of geographic information and its latest advances in research and technology. This is also the aim of the high profile AGILE conferences and in this sense I wish all participants a good meeting and a remarkable stay in Hungary. Knowledge Transfer on Digital Norway? Her Excellency Ms.Bente Angell-Hansen visited the Digital Topographic Lab, the Remote Sensing Center's Land Cover Lab, the CAP IACS and Crop Monitoring-related technological development and production units, as well as the Browse Room of the User Service. Guided tour arranged by Deputy DG Peter Winkler included explonation on object-oriented database (Gy.Iván), land cover and environmentally hot-spots (Gy.Büttner), operational LPIS and CwRS applications (G.Csornai) as well as user service (Dr.T.Vass). The Dept of Land Administration and Geoinformation of MoARD and its institutions (FÖMI, Land Offices, NCP Pbc) were introduced by G.Remetey-Fülöpp on behalf Gábor Horváth, Head of DLAG and - illustrating the Public-NGO-Partnership - a background description on HUNAGI was submitted. GIS Open 2006 Conference devoted to "e-Public Administration" was a showcase of the recent Hungarian developments. presentations by Z.Varga oo Sokkia products, T.Á.Érsek on Thales products, C.Bartha onLeica products, G.Nagy on Trimble products and Z.Vincze on ASP for Local Governments. FAO TCP Pilot with integrated rural development, water management and land consolidation elements starts in interministerial collaboration. Chaired by facilitator Ms.Zsuzsanna Flachner, a preparatory meeting of the representatives of the stakeholders (including MoEW, MoARD, WWF) and invited Danish and FAO consultants was hosted by MoARD on 13 March 2006. The program will follow vith site visits in Vásárosnamény at the District Land Office and Csaroda inviting local and regional stakeholders. Additional Governmental Award winner is Mr.Sándor Kiss former Head of the Békés County Land Office. Fasching Medal was awarded to Messrs. András Hodobay-Böröcz of DLAG MoARD, András Osskó of the Capitol Land Office and Sándor Veress of Digikart Ltd, all committed to GI and GIS. Congratulations! The Round Table devoted to promoting collaboration between DG JRC and Hungarian organisations in Science and Technology areas was hosted by the Hungarian Academy of Sciences in Budapest. 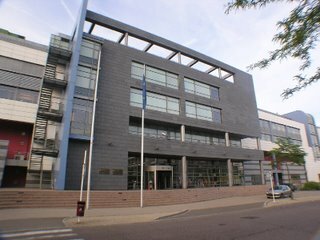 Hungarian Meteorological Service, University of West Hungary, Hungarian Geological Survey, Institute of Geodesy, Cartography and Remote Sensing as well as the Budapest University of Technology and Economics. Moreover, the Central Service of the Plant Protection and Soil Conservation was also actively involved. The importance of land parcel-related information in SDI was pointed out and the awareness raising on INSPIRE involving civil organisation mentioned. HUNAGI as organisation was also invited by the Hungarian host organiser, the National Office for Research and Technology. ...Among the advanced technologies there are three dedicated ones, which are - according to recent US think tanks - not only beneficial for the economic growth in the next two decades, but are contributing significantly to the creation of new jobs in the SMEs The three technologies are as follow: biotechnology, nanotechnology and technology related to geo-information ie. spatial data and its infrastructure. HUNAGI is a networking umbrella organisation of more than 100 institutions, who are representing the academic, governmental and private sectors as well as the NGOs interested in the development or use of GIs, or are involved in the associated knowledge transfer. 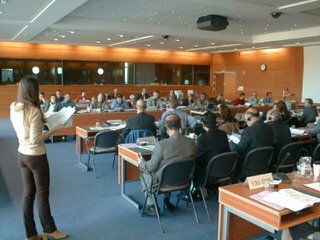 The Interministerial Task Force Group Meeting devoted to the formulation of the National Spatial Data Infrastructure Strategy held its 5th meeting on March 7, 2006. Hosted by the Ministry of Informatics and Communication, the meeting was held under the auspices of the Information Society Coordination Committee's Subcommittee. The meeting was participated also by the Head of the InfSo Strategic Planning Subcommittee (STEA). The following ministries and agencies were represented: Disaster Mitigation of Ministry of Interior, Ministry of Economics and Transportation, Ministry of Environment and Water, Ministry of Informatics and Communication, Mapping Service of the Hungarian Defence Forces, Dept of Land Administration and Geoinformation of MoAgriculture and Rural Development, Mapping Non-profit Company of the MoDefence , National Development Office, Institute of Geodesy, Cartography and Remote Sensing (FÖMI), Hungarian Geological Institute (MÁFI), Pnc for Regional Development and Town Planning (VÁTI), as well as two NGOs namely HUNGIS Foundation and HUNAGI, who chaired the meeting. It is anticipated the Task Force Group will complete its work by end of April, when the Drafting Team composed by Messrs. Alabér, Mihály, Szendrő and Remetey-Fülöpp will edit the final version to be approved by STEA.